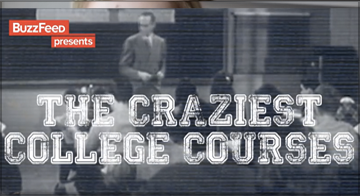 We just came across a pretty funny video from BuzzFeed, about some of the craziest college courses you could imagine. For example, Bard College has a course called "Milk and its contents." What other classes made the list? Watch the video below to find out. And let us know your thoughts below. Would you take any of these classes?